Constitutional conventions. — The general assembly, by a vote of a majority of the members elected to each house, may at any general election submit the question, “Shall there be a convention to amend or revise the constitution?” to the qualified electors of the state. If the question be not submitted to the people at some time during any period of ten years, the secretary of state shall submit it at the next general election following said period. Prior to a vote by the qualified electors on the holding of a convention, the general assembly, or the governor if the general assembly fails to act, shall provide for a bi-partisan preparatory commission to assemble information on constitutional questions for the electors. If a majority of the electors voting at such election on said question shall vote to hold a convention, the general assembly at its next session shall provide by law for the election of delegates to such convention. The number of delegates shall be equal to the number of members of the house of representatives and shall be apportioned in the same manner as the members of the house of representatives. No revision or amendment of this constitution agreed upon by such convention shall take effect until the same has been submitted to the electors and approved by a majority of those voting thereon. November 4, 2014. The referendum on whether to convene a constitutional convention loses by 163,749 (55.1%) to 133,445 (44.9%); the absentee ballot total was 6,724 (50.1%) to 6,684 (49.9%). Data is from the Rhode Island Board of Elections as of November 6, 2014; final certified results likely to vary. Voter turnout was 40.1%, down from 45.2% in 2010. See J.H. Snider’s blog post post-mortem. October 30, 2014. Rhode Island Board of Elections hearing concerning allegations of campaign finance violations by Coalition for Responsible Government. See J.H. Snider and Beverly Clay’s blog post on the complaint that led to the hearing. October 1, 2014. Secretary of State announces release of the 2014 Voter Information Handbook. September 3, 2014. Release of the Bi-Partisan Preparatory Commission Report. August 26, 2014. Fifth and final meeting of the Bi-partisan Preparatory Commission. See RhodeIslandConCon.info’s blog post and the interview with Commissioner Steve Frias about the meeting. August 21, 2014. Fourth meeting and third public hearing of the Bi-partisan Preparatory Commission. August 19, 2014. Third meeting and second public hearing of the Bi-partisan Preparatory Commission. August, 7, 2014. Second meeting and first public hearing of the Bi-partisan Preparatory Commission. See J.H. Snider’s blog posts on the report and meeting, including links to the webcast and written testimony. July 31, 2014. First meeting of the Bi-partisan Preparatory Commission to Assemble Information on Constitutional Convention Questions in Preparation for a Vote by the Qualified Electors on the Holding of a Constitutional Convention in Accordance with Article XIV, Section 2 of the Rhode Island Constitution. Covered in J.H. Snider’s blog post. July 30, 2014. Bi-partisan Preparatory Commission was to report its findings to the public by this date (the deadline was not met). July 29, 2014. The Rhode Island General Assembly posts on its website the names of the remaining two Bi-Partisan Preparatory Commission members and posts public notice of its July 31, 2014 first public meeting. The law dictates that 48 hours notice is necessary before holding such a public meeting. July 24, 2014. The Rhode Island General Assembly posts on its website the first 10 of 12 members appointed to the Bi-Partisan Preparatory Commission. July 10, 2014. Campaign finance reports due to the Rhode Island Board of Elections. According to the filings, the no campaign has raised $59,000 and the yes campaign $0 as of July 10, 2014. On July 19, 2014, the Providence Journal reported on the Board of Elections filing. June 30, 2014. Joint Resolution 8061 signed by the Governor. June 23, 2014. Joint Resolution 2537 signed by the Governor. June 11, 2014. Joint Resolutions 2538, 8060 and 8061 passed by the General Assembly. June 18, 2014. Joint Resolutions 2538 and 8060 signed by the Governor. April 29, 2014. Hearing to consider proposed constitutional amendments that could serve as the basis of the Preparatory Commission. April 16, 2014. Joint Resolution 8061 (creating a bipartisan preparatory commission) introduced in the Rhode Island House. February 27, 2014. Joint Resolutions 2537 (creating a bipartisan preparatory commission) and 2538 (placing the constitutional convention referendum on the ballot) introduced in the Rhode Island Senate. Op-ed in GoLocalProv by J.H. Snider satirizing the debate about the constitutional convention referendum currently taking place in Rhode Island. Op-ed in the Warwick Beacon by Robert O. Flanders arguing that state constitutional conventions have served to enhance rather than diminish the people’s rights. Op-ed in the Providence Journal by Ken Block arguing that a state constitutional convention represents a rare opportunity to fix Rhode Island’s broken system of government. Op-ed in the Providence Journal by Steve Brown arguing that a state constitutional convention would be dominated by special interests and is, in any case, unnecessary. Op-ed in the Providence Journal by George Nee arguing that a state constitutional convention would hurt Rhode Island unions. Op-ed in the Providence Journal by Philip West arguing for a state constitutional agenda based on democratic reforms that the General Assembly wouldn’t otherwise pass. Op-ed in the Providence Journal by J.H. Snider and Beverly Clay critiquing the description of Question #3 in the 2014 Voter Information Handbook. Op-ed in the Providence Journal by Jack Partridge, delegate to Rhode Island’s 1973 constitutional convention and former chair of Common Cause Rhode Island, providing an account of the discrepancy between the intent of the Framers of the Bi-partisan Preparatory provision in Rhode Island’s Constitution and its implementation in 2014 by Rhode Island’s legislature. Op-ed in the Providence Journal by Pablo Rodriquez arguing that the General Assembly is a better institutional vehicle for democratic reform because of the high cost of a state constitutional convention and the risk that it would be corrupted and serve to restrict social rights such as a woman’s right to choose. Op-ed in the Providence Journal by Mike Stenhouse observing that anything passed by a state constitutional convention must be approved by voters and arguing that the people are not the enemy. The Rhode Island Center for Freedom & Prosperity issues a blueprint for how the constitutional convention process should work and what issues a constitutional convention could address. 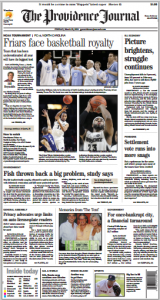 Op-ed in the Providence Journal by J.H. Snider and Beverly Clay reviewing the history of Rhode Island’s bi-partisan preparatory commissions and arguing for a better method of information the public about issues a state constitutional convention could address. Op-ed in GoLocal Prov by Moore, Russell arguing for a Rhode Island state constitutional convention by describing the opposition, its arguments, and the types of issues a constitutional convention could address. Op-ed in the Providence Journal by J.H. Snider and Beverly Clay reviewing the history of Rhode Island’s constitutional convention campaign finance disclosure and making the case for better disclosure. 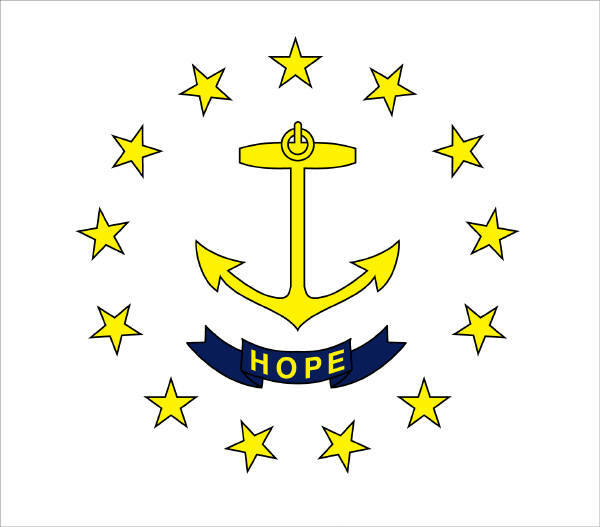 RhodeIslandConCon.info compiles a documentary history of Rhode Island’s 1994 and 2004 state constitutional convention referendums. Op-ed in the Providence Journal by Timothy Murphy, a Brown University Professor, arguing that a constitutional convention is the only likely mechanism by which Rhode Island’s General Assembly will become subject to meaningful ethics reform because the General Assembly has consistently refused to pass such reform itself. 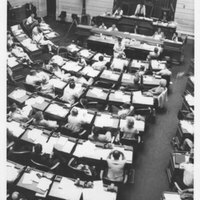 Op-ed in the Providence Journal by Jack Partridge, delegate to Rhode Island’s 1973 constitutional convention and former chair of Common Cause Rhode Island, providing a first hand account of Rhode Island’s successful 1973 constitutional convention and arguing that fears of a future convention don’t gibe with that experience. 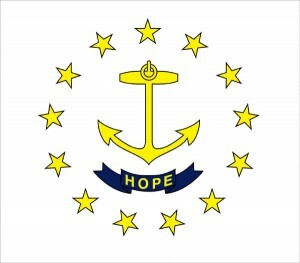 RhodeIslandConCon.info launches FAQ to address questions about state constitutional conventions. Event at the Hassenfeld Institute for Public Leadership, Bryant University, “A Constitutional Convention for Rhode Island?,” 8:30 am to 1:00 pm. J.H. Snider reviews the conference, including providing conference links. Op-ed in the Providence Journal by J.H. Snider and Sage Snider providing a historical, political, and democratic functional analysis of Rhode Island’s November 4, 2014 referendum to convene a constitutional convention. Public Policy Polling releases a public opinion survey concerning propositions on the November 2014 ballot. The question on the upcoming constitutional convention referendum finds 40% in favor, 25% opposed, and 35% undecided. I envisage this will mostly be used to notify you of debates in the Providence area concerning the upcoming referendum. During the last few weeks before the referendum, I may also send you information relating to the major pro and con ad campaigns. There will be no use of your contact information other than to send you information about the upcoming referendum. You may opt out at any time with the unsubscribe option at the bottom of any communication you receive.